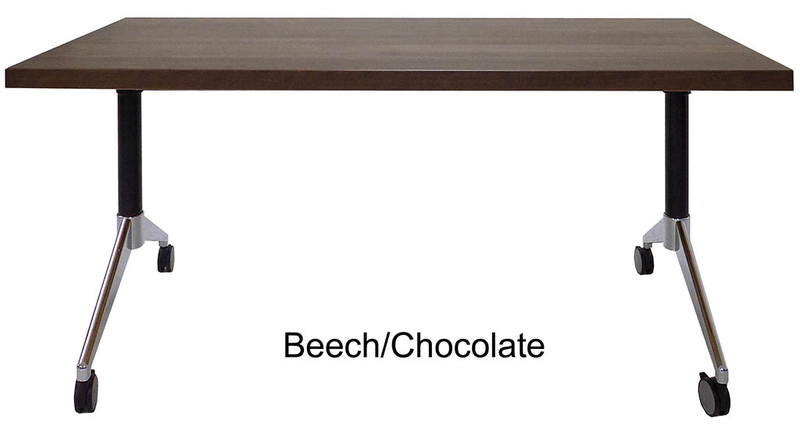 Beautifully handcrafted solid wood table tops made in the U.S.A! 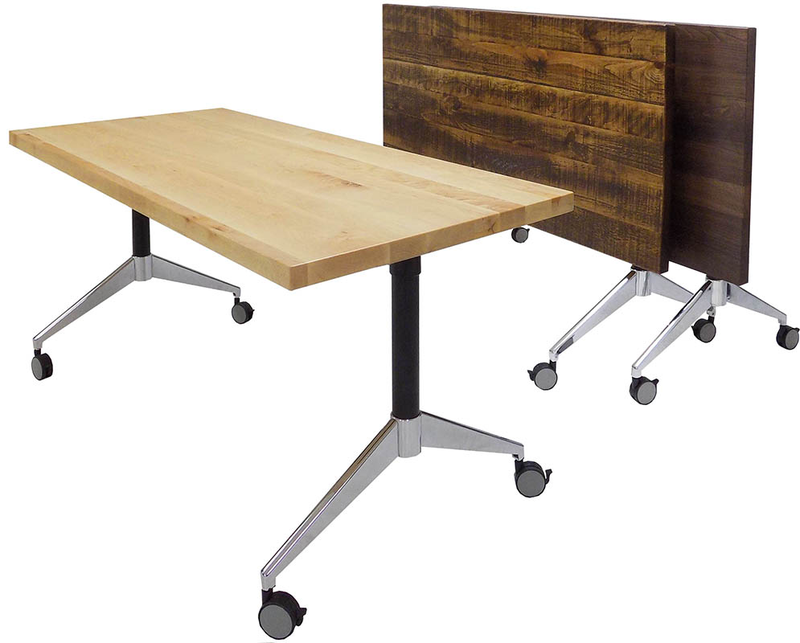 Our solid wood flip top training tables are a beautiful option for the corporate training facility. 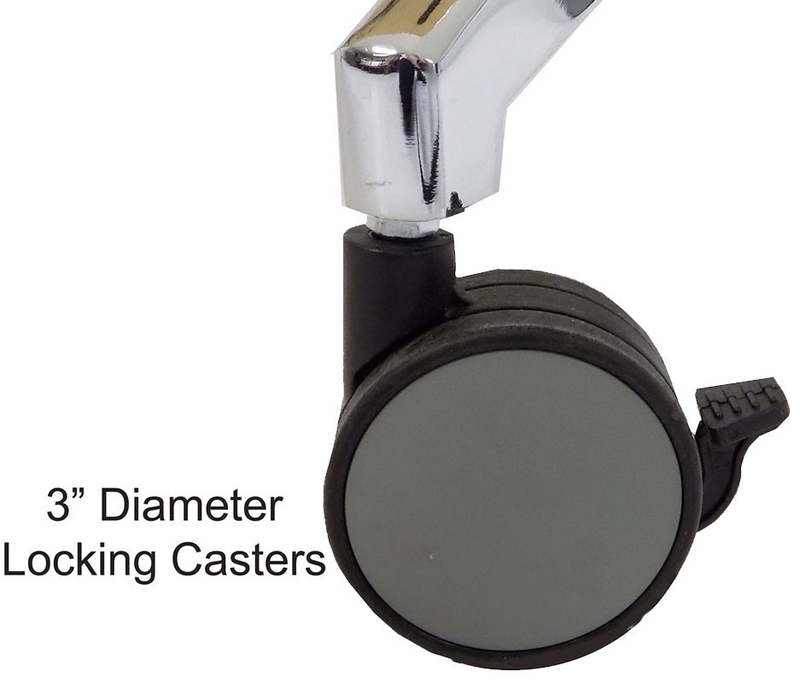 Exceptional combination of versatile function and handsome design. All three wood species/finishes full of unique, real wood charm. 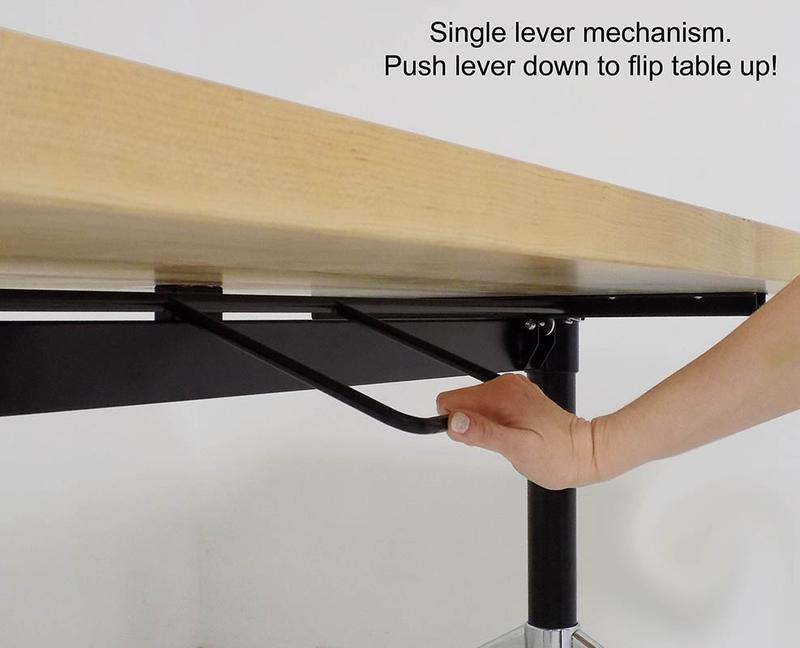 Table tops are supported on easy to use mobile bases with flip release bar. Easy to set up, easy to store. 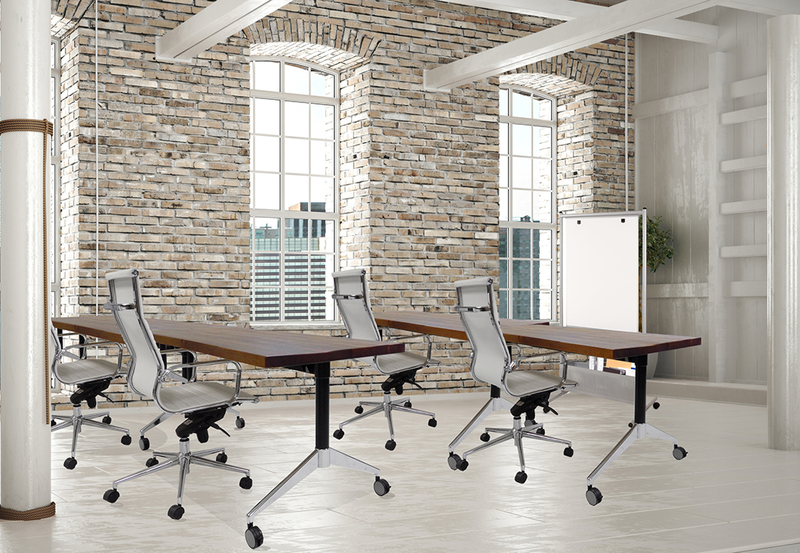 Impressive table choice for your high level training room. 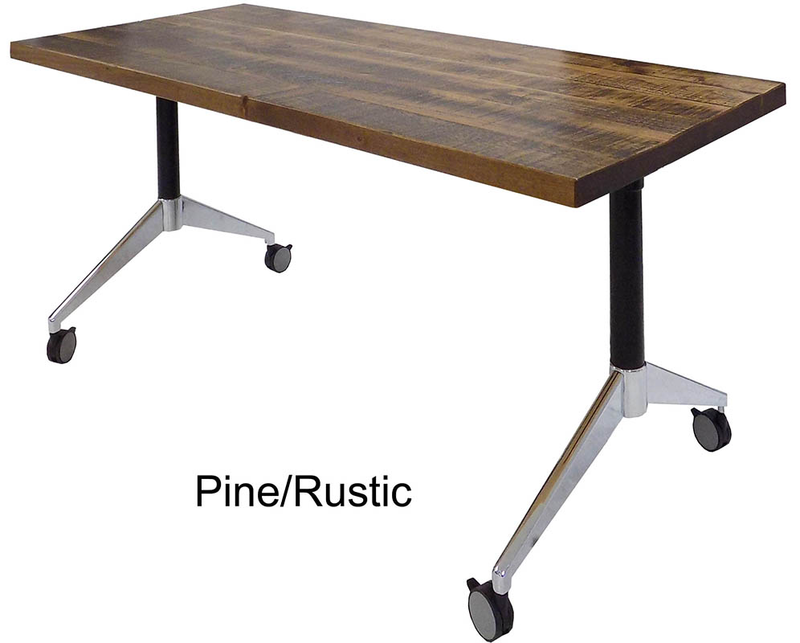 Tables measure 66" long x 30" wide x 30-1/4" high overall. Can accommodate up to 2 people per table. Includes solid wood table top and metal flipping base with 3" wheels. 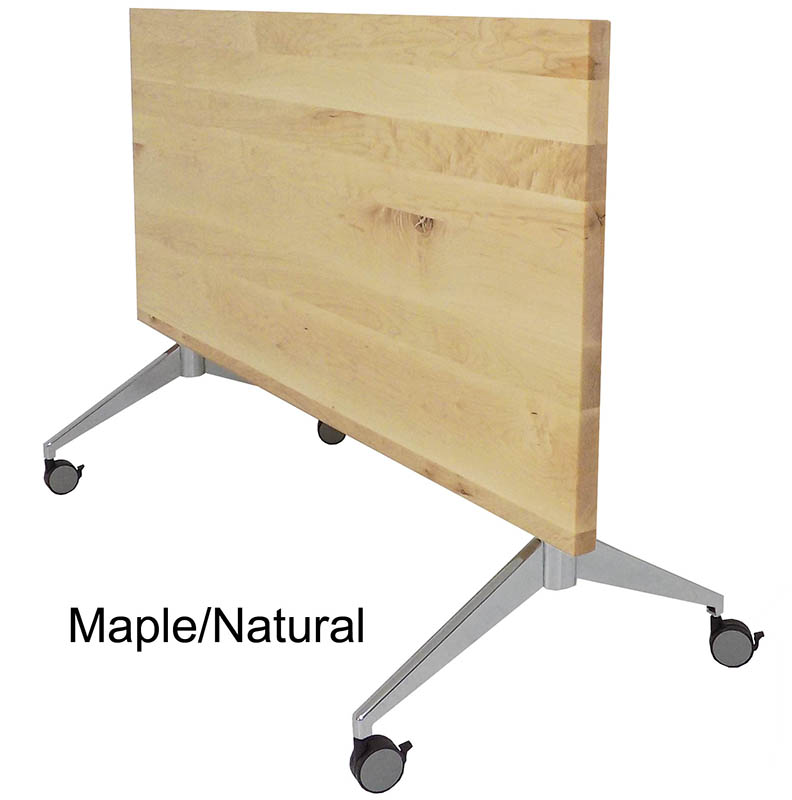 Shipping weight: Maple or Beech 125 lbs. / Pine 83 lbs. Base ships unassembled for safety in transit. PRICE INCLUDES SHIPPING! (Truck shipment - see Terms & Conditions). IN STOCK! 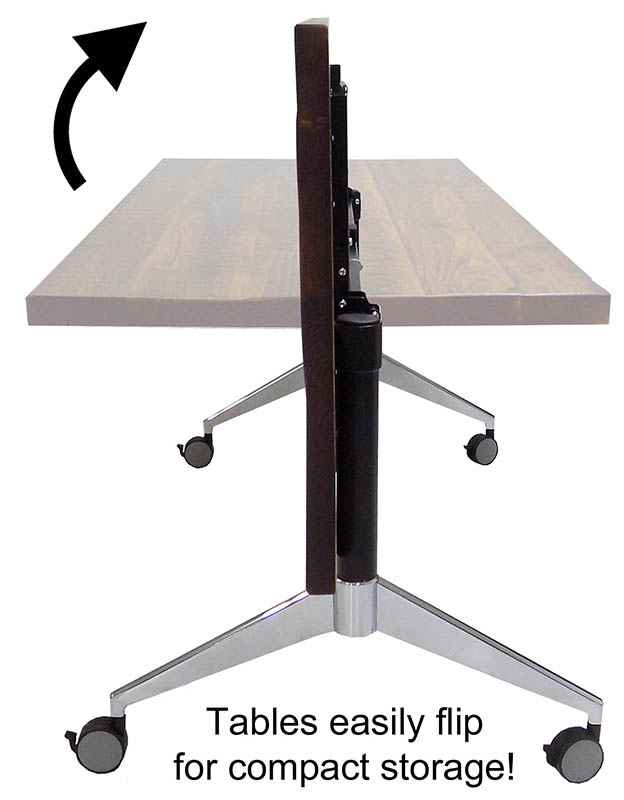 * Tables stand 30-1/4" high when in use and 42-1/4" high when flipped up.